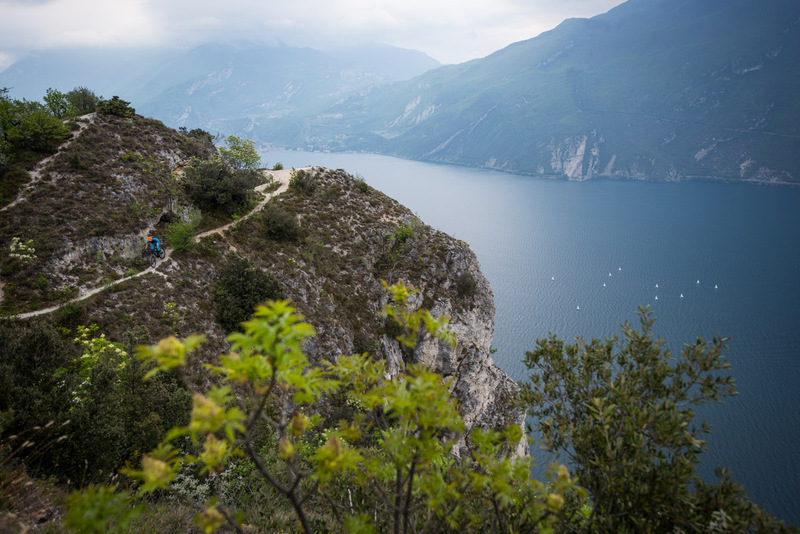 Sim Mainey reports from Italy with his Shimano XT M8000 Speed Date. Interestingly, although Shimano has recently launched the new groupset, this was the first time anyone in Europe had a chance to ride it. 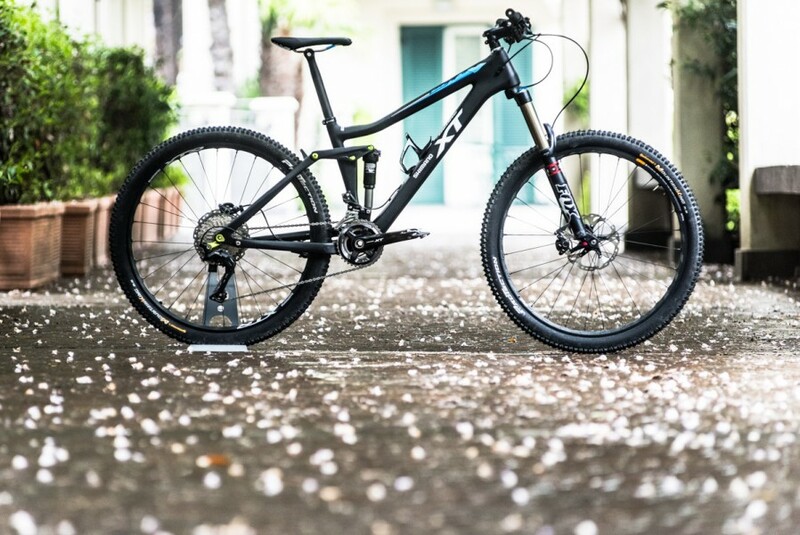 And despite showing its fabled one-by single chainring, and 11-42 cassette at the recent Sea Otter presentation, the test bikes available featured neither… Here’s Sim to take up the story. 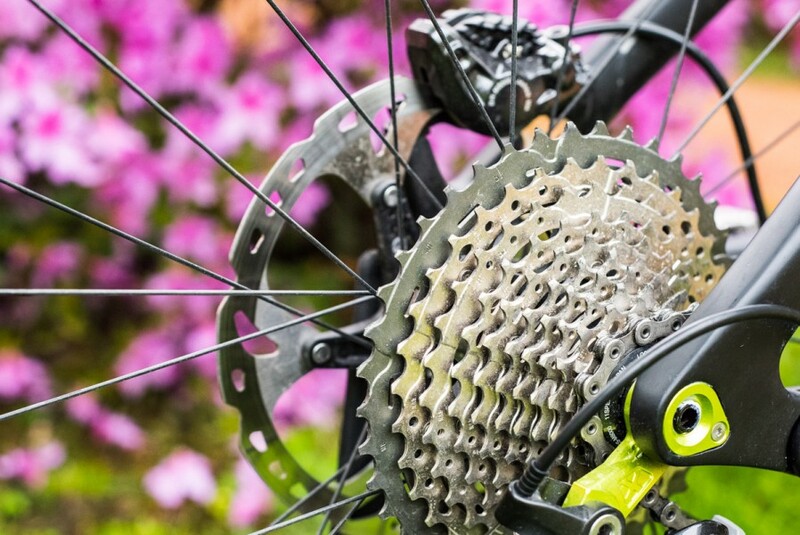 Riva del Garda Bike Festival in Italy is where the show season starts for the European bike industry. With its spectacular scenery, primo gelato and open-air expo area it’s a pleasant way to kick off a season that is far too often spent living on a poor diet in underlit show halls in less glamorous parts of the world. Riding bikes rather than roaming show halls is always preferable and with a new groupset to present Shimano decided Garda was the perfect place to host their worldwide launch. 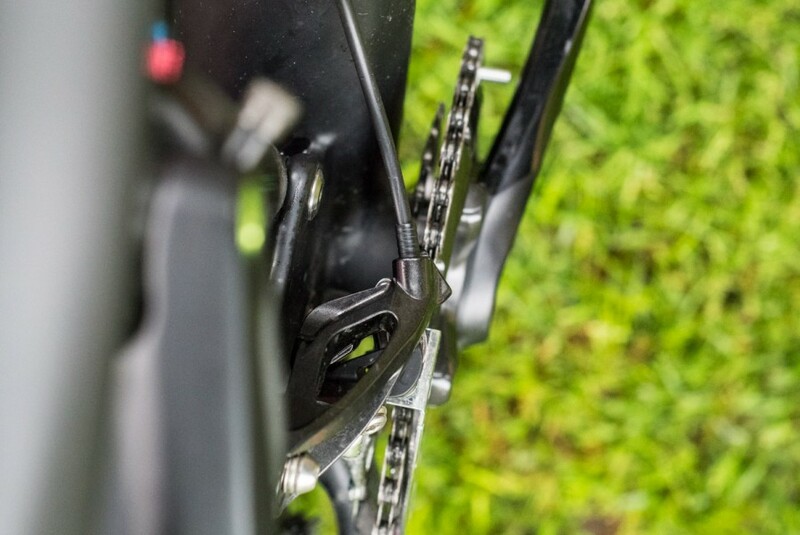 You’ve probably read the details and seen photos of Shimano’s new M8000 XT groupset (if not, get a quick summary of the highlights here) but this was the first time the press had been allowed to actually ride it rather than just gawk, probe and prod it. Even so not all components were available to ride – the wheels were still a little while off being available, as was the 1×11 setup that’s got everyone excited, so any comparisons to SRAM’s 1×11 system will have to wait for now. 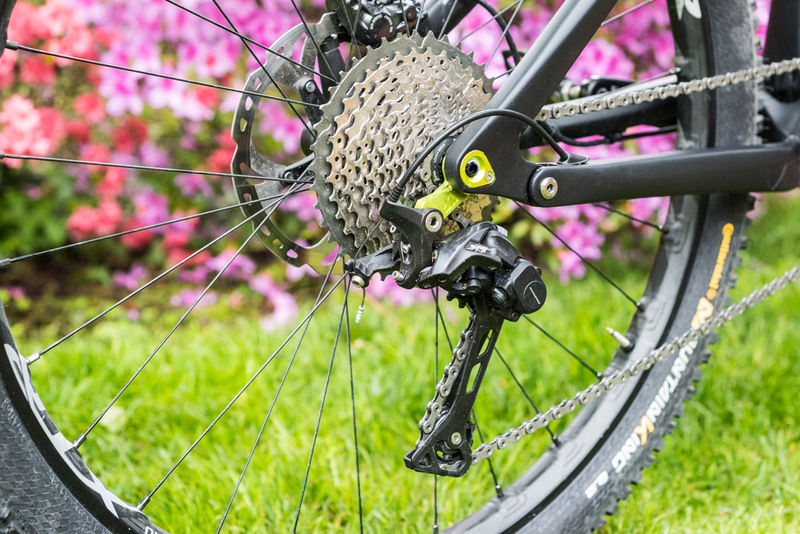 Test bikes were set up with a 2×11 drivetrain running a 36t/26t chainset and the 11-40t 11 speed cassette. 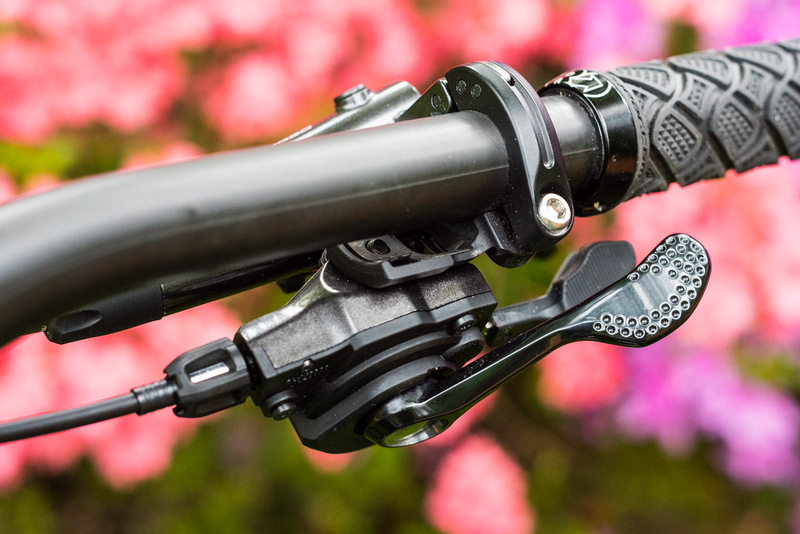 Despite the front mech being much maligned of late Shimano have kept the faith and it shows. Front shifts require very little effort and now better match the feeling you get shifting on the rear with a short lever throw that feels like it’s moved the chain even before you hear the click. Looking down on the new side-pull front mech from the saddle it looks more like a chain device than a mech, with plenty of space around the chainstays for, say, a very large rear tyre. The only real give-away that it’s a front mech is the cable. Even that is unobtrusive, the side-pull cable entry combined with internal frame routing makes for an incredibly clean look. 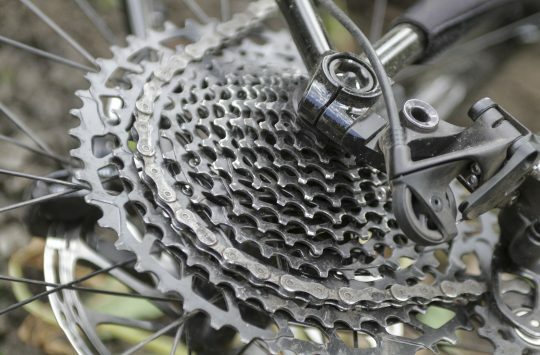 Maybe it’s worth thinking of it as a chain device with a bunch of extra gears attached. The shift from large chainring to the granny was quick and precise, as you’d expect, but what impressed was shifting the in the opposite direction from the granny ring to the larger chainring which was equally light and smooth. Shimano is coming out fighting for the front mech cause and it’s done some impressive work to make it a more attractive option. Side pull front mech. There’s a top and bottom pull one too. Rear mech shifting feel was very similar to the latest XTR but feels quite different to previous incarnations of XT. Whereas Shimano shifting is usually characterised by its smooth shift between gears the M8000 XT has a much more defined click to it. This has no effect on actual shifting effort, it just feels different – not better or worse, just different. It does mean you get a better feel for how many gears you’re changing though, with each change giving well defined feedback. The clutch system on the rear mech is now user tunable, we didn’t get a chance to play with it but it would be interesting to see what difference if any, this made to shift feel and to rear suspension feel. User-adjustable tension on the rear mech’s clutch now. 11-40T cassette tested, 11-42T on the way too. Making any comment about the addition of an extra sprocket on the cassette is difficult. It’s not the thing that was most noticeable about the whole XT experience, it’s just a thing. And that’s the point, this is a groupset, each component has its part to play and getting hung up on one aspect of it is kind of missing the point. For what it’s worth when climbing we found ourselves in the big chainring and big sprocket (the chief sin of gear usage) without really thinking and there was no groaning or graunching from the drivetrain, nor did we notice any struggle in shifting to the largest 40t sprocket, it just did it in a very Shimano fuss-free manner. 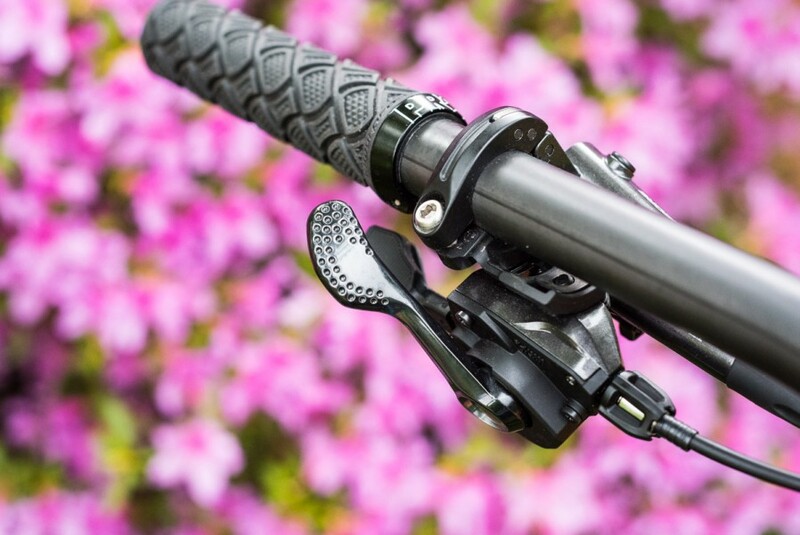 Long and dimpled shifter paddles, just like XTR. Narrow i-Spec clamps allow for more junk on your bars. 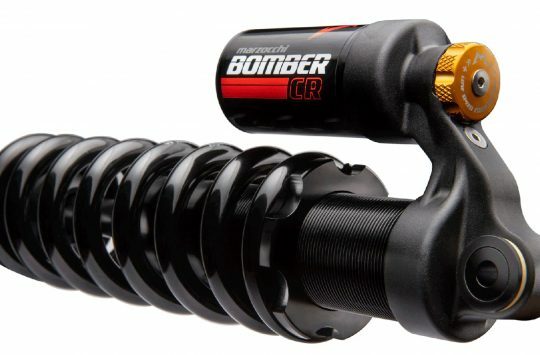 Bars may be getting wider but it seems there’s always something extra that can be bolted to them, from GPS units to lights, remote lock outs to dropper levers, even brakes and shifters. It’s good to see Shimano further develop their I-Spec system, allowing brake levers and shifters to use just one bar clamp, occupying as little bar space as possible. The downside to this has been positioning the brake levers and shifters exactly where you want. I-Spec II, as seen here, offers more flexibility than previous I-Spec mounts, allowing fore and aft movement as well as side to side. I-Spec B versions will be available allowing you to partner up your older Shimano shifters or brake levers with the newer M8000 parts. 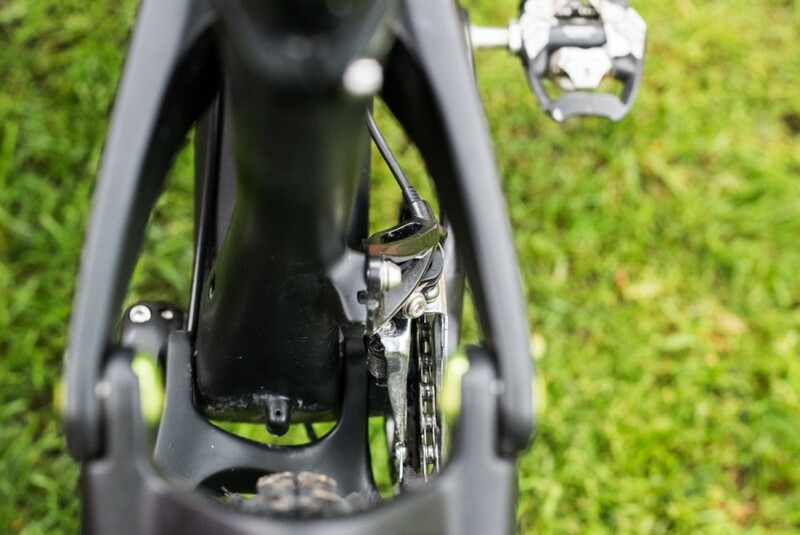 Shimano are arguably the current leaders when it comes to braking, if they’d said they hadn’t changed a thing on the brakes we wouldn’t have been surprised or disappointed, but that’s not the Kaizen way. 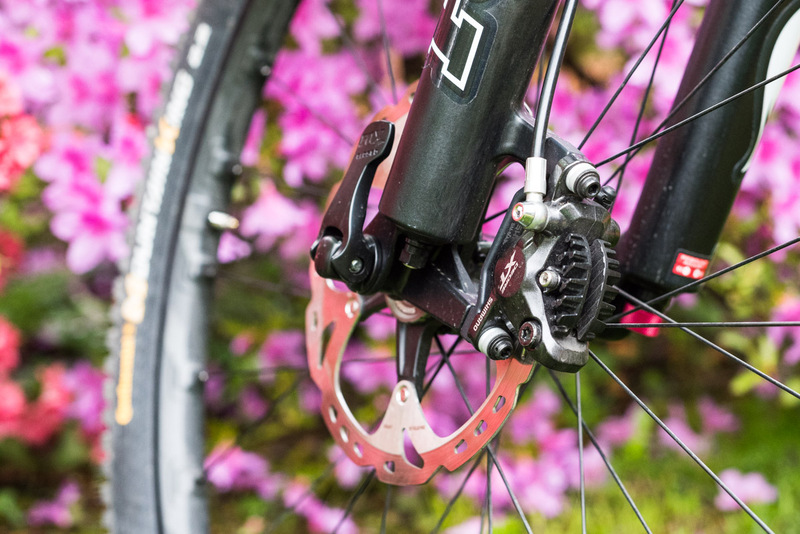 The one criticism of previous XT brakes is they could feel quite grabby, making modulating the brakes a real test of finger dexterity. The new brakes offer the same feeling of outright power but in a much more usable way. Descending on loose gravel the brakes felt very controllable, communicating where the bite point was without locking up. The modern mountain bike. It’s pretty slick looking, wouldn’t you say? From our brief experience with M8000 XT we’re impressed, not that we thought we would be otherwise. Shimano have a lot riding on this everyman groupset and with SRAM having got one step ahead with 11 speed they know they are coming from behind. 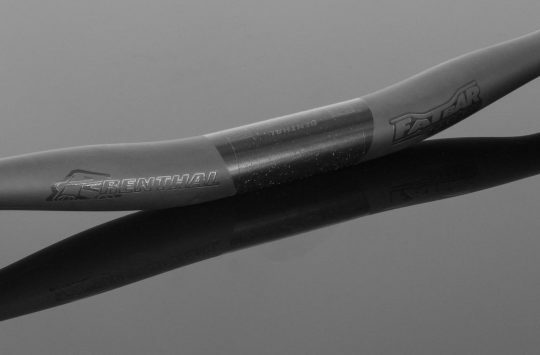 Shimano rarely rush things and you know when they do deliver a product it’s done in a very considered manner to the best of their abilities in the tradition of a Japanese engineering company. We’re looking forward to getting hold of a groupset to put the miles into and seeing how it holds up and better testing it against the competition. 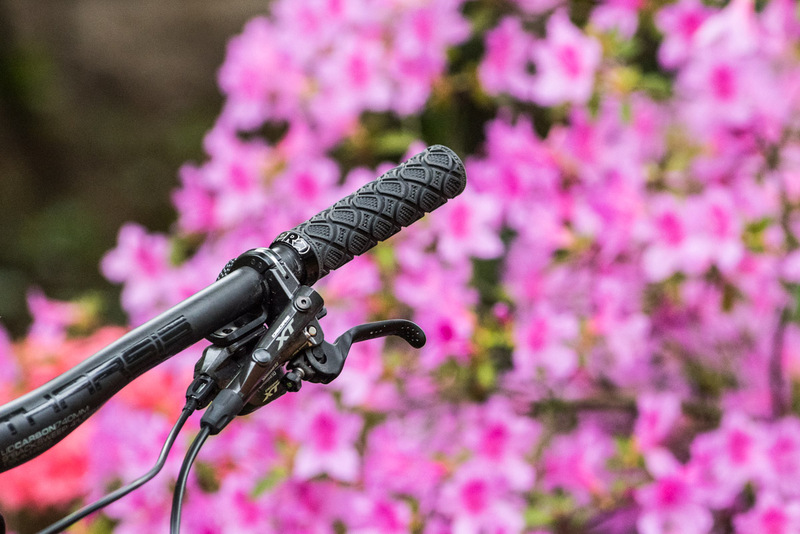 Sea Otter 2015: new Turner – but what's hidden? 2nd their on this page should be there. 2x is for real mountains for sure. The new M8000 brakes are only I-Spec 2 so won’t take an older I spec shifter.